10056 - St. George’s Square circa 1900 with Streetcars and Blacksmith Fountain. Church of Our Lady in background. 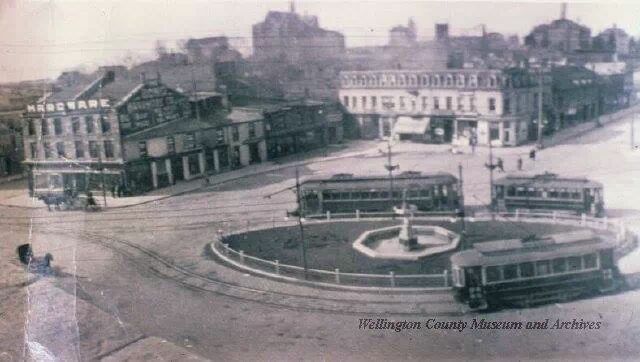 Nostalgic look at Guelph's past. Be it buildings, people, events, homes or more. Please add you own photos, memories, and friends. 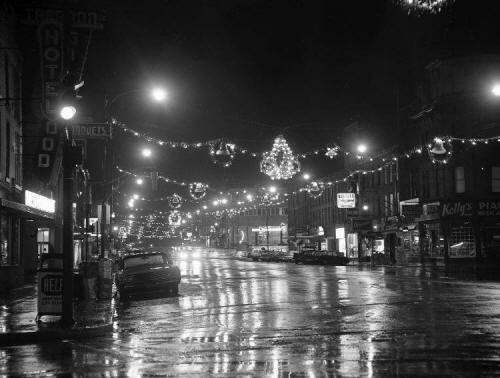 Old Pictures, videos, memories, advertisements or anything else you consider Vintage Guelph. Any year accepted! "Downtown Guelph with Christmas lights lit up at night on November 29, 1966."